What is COACHING ? How to do behavior based COACHING ? What is COUNSELING ? How to do behavior based COUNSELING ? In this CD audio we can learn about the story of STEVE JOB, it will inspire us to learn how to do coaching. We learn about some practical tips wrapped up with inspirational stories, it will boost our motivation to do coaching & counseling. 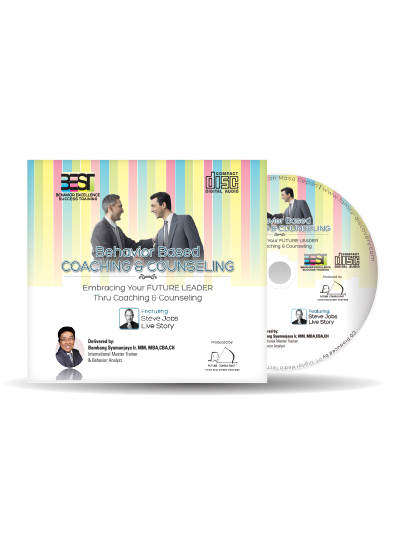 It will make coaching & counseling more easier by listening this CD audio repeatedly. • Why we need Coaching & Counseling ? • Human resources & Coaching – Counseling. • Behavior principle & Coaching – Counseling. • Behavior principle & Steve Jobs. • K-T-P & Steve Jobs. • What is Behavior based Coaching ? • Practical tips of Coaching. • Learning style & Coaching – Counseling. • What is Behavior based Counseling? • Practical tips of Counseling. • Source of life problem. 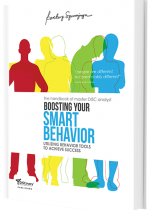 A very comprehensive ebook (android version) explores the behavior science, history and background and comes with practical and applicable examples of using the principles of behavioral science based on DISC (Dominant-Influence-Steady-Compliant), the team’s role and the understanding of hidden motivators. This book is fully supported by The Founder of The Institute for Motivational Living, Inc., USA and has been recognized as a handbook for everyone who wants to learn behavioral science, DISC and all of its applications in career, family and life.